Blue call to resus! Managing seizures in the Paediatric Emergency Department The information found on this site is the personal opinion of the authors, and is intended to educate and interest, rather than to direct clinical management for specific patients. Copyright is shared between the author/s and this site. You may reproduce this content as long as the original source is credited. No information on this site may be reproduced for profit. This is the second article in our series on Paediatric epilepsy. It’s aimed at paediatric and emergency medicine trainees working in Paediatric Emergency medicine. For part one of the series, click here. It’s a common reason for Emergency Department (ED) attendance, that’s why! Epilepsy is one of the top 10 causes of paediatric admissions, albeit with a big variation across the country (whilst the average rate is 71.3 per 100000 admissions, this is higher in deprived areas and in children under 5 years of age). Often, young patients with epilepsies are seen by paediatricians with a special interest in childhood epilepsies, or by neurologists at a tertiary level. This means that trainees seeing them in the ED understandably may not always be that familiar with, or confident in managing, the acute attendances. Which patients does this guide cover? This article concentrates on children presenting to the ED with what are judged to be epileptic seizures, as opposed to conditions that may mimic seizures (i.e. paroxysmal events). How to distinguish between seizures and other events is covered in the first article of this series. Another great way of learning more is to attend a Paediatric Epilepsy Training (PET1) course – highly recommended for all senior trainees in paediatrics. The BPNA website also has more information and videos. 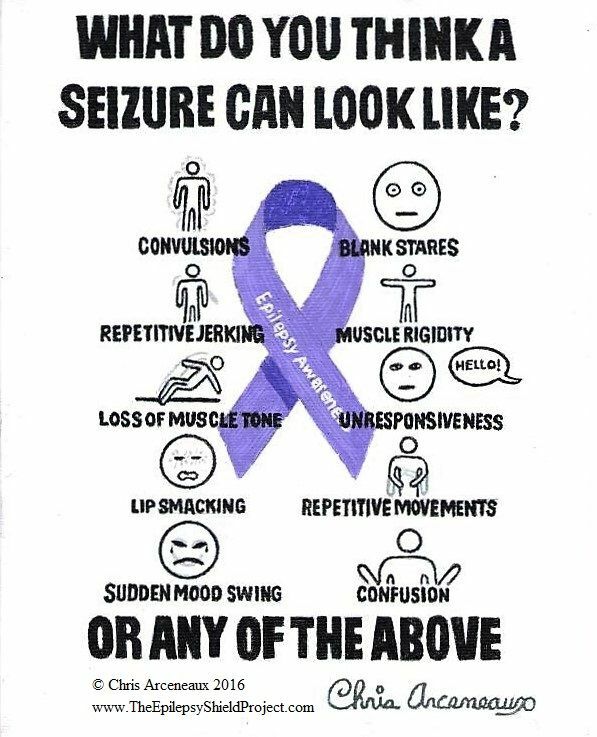 with an epileptic seizure(s) that has already terminated pre-hospital (with or without having had ‘rescue’ medication, typically a benzodiazepine like buccal midazolam). repeated tonic-clonic convulsions happening over 30 minutes without recovery of consciousness in between. Guidelines for treating Status all refer to seizures lasting more than 5 minutes. The APLS protocol itself will be familiar to most of you reading this, and so this section will not talk through what to do – you can find that algorithm here. Instead, we will go through the principles behind how to do it, and why we do what we do. Since managing status epilepticus is oh-so-protocolised, there is usually chance to actually think between each step, so use the time to consider underlying causes. what AEDs (anti-epileptic drugs) do they usually take? The APLS algorithm gives you a lovely 10 minutes between each intervention hoping the seizure will stop. Not only is this thinking time, it’s planning time! Children sometimes come to the ED following an episode that is assumed to be a seizure by the time they get triaged, but may or may not actually be an epileptic event. Here’s how to assess and manage their care. Guess what… it’s all about the history! Is this ‘breakthrough’ seizure a one off, or has there been a recent trend of seizures increasing in frequency/duration? When was the last change in dosage? Have they gained weight since the last dose change, i.e. ‘outgrown’ their dose? Obviously you then need to do a thorough neurological examination. Checking glucose, electrolytes, calcium and magnesium after a suspected seizure (NB: a simple febrile seizure doesn’t usually need this level of investigation if there is an obvious source for the fever). A 12-lead ECG, to look for long QTc and any arrhythmias. Remember that an ECG can often be normal even if a cardiac cause is present so, if you have a high suspicion of cardiac misbehaviour then you should strongly consider talking/referring to a paediatric cardiologist – especially if there is a family history of early/sudden deaths. Other relevant investigations depend on your assessment : e.g. if you suspect acute illness, think about septic screen, if there is decreased level of consciousness, see RCPCH “Management of children and young people with an acute decrease in conscious level” guideline. Who can be safely discharged? If the young person has fully recovered from the seizure, and no correctable/acutely treatable cause has been identified (which is usually the case), then they can be safely discharged with some follow up in place. If there are any particular triggers you have uncovered (issues with compliance etc. ), then let the epilepsy team so that either they can advise changes for you to make now, or arrange to contact the young person/family themselves. Coming to the ED with a seizure doesn’t necessarily earn an automatic admission, but think about the seizure in context of the severity, frequency and impact. For example, if there is an escalating trend of seizures, the family may need extra training to manage safely. Recovery from seizure not complete (i.e. need for further observation). In this scenario, keep in mind alternative diagnoses (e.g. meningoencephalitis). If it is not clear which category your young patient falls into, then discuss with a senior, and ideally involve a consultant with expertise in epilepsy. Status epilepticus: don’t panic! Manage as per APLS, gather information that will help direct your management plan. Presenting after a first paroxysmal episode? Take a thorough history thinking about whether this was a seizure or not. Rule out causes of provoked seizures. In a child with known epilepsy, make sure this is their usual seizure type, and also think about why a breakthrough seizure might have happened. Decide if the child needs admission, or can be safely discharged with follow up? (most fall into the second category). Communicate with any epilepsy team members involved in their care – if needed, contact for advice there and then, otherwise you must tell them about the attendance. Last but not least: if in doubt, uncertain what to do, or unsure if this was an epileptic seizure, get advice from someone more senior/experienced. Never feel pressured to make a diagnosis or a treatment plan if you are not sure – help is always at hand! Dr Amit Bali, Dr Frances Morrison (Paediatric Consultants) and Dr Leena Mewasingh (Paediatric Neurologist). Admissions of inequality: emergency hospital use for children and young people. 2017 Briefing, Nuffield Trust.